Limburg has its share of famous breweries, including Achel, one of the seven Trappists, and Cristal Alken, whose pils is found in every café and backyard barbecue in the area. But it’s also home to several innovative craft brewers, who combine a love of beer with a shrewd knack for the growing business of beer tourism. These brewery-cafés are prime locations for the enjoyment and appreciation of Belgium’s favorite drink. Marc Limet began his lifelong romance with Belgian beer at the tender age of 18, when he and his friends began traveling to small breweries in order to taste traditional-style beers. One of their favorites was a small farmhouse brewery in Limburg province, on the outskirts of Sint-Truiden. 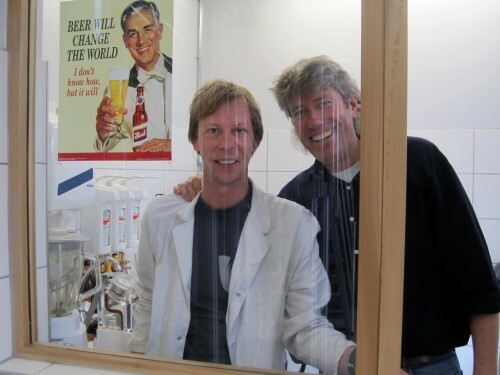 The owner, Jean Clerinckx, started Kerkom in 1988 on the site of his family’s old brewery, which had closed twenty years before. In the beginning, when Marc first visited, Kerkom had only one beer, a blond, and the café was only open on Sundays. He and his friends spent many Sunday afternoons drinking that blond beer and talking with the brewer. When Clerinckx decided to retire in 1997, he asked his young friend, the beer enthusiast, to take over. Limet didn’t exactly jump at the opportunity. Despite his love of beer, he had never planned to run a brewery himself. Finally, he realized this was a chance of a lifetime. “If I don’t do it, I’ll regret it for the rest of my life,” he told himself. Like his predecessor, Limet brewed just two beers, a blonde and a brown. The first year, they produced only 250 hectoliters of beer. In 2000, they added two saisons, based on the seasonal “farmhouse” brews native to Wallonia. The first takes its inspiration from the local Haspengouw region, famous for its fruit trees. Made with pear syrup and honey, Bink Bloesem was inaugurated during the annual Blossom Festival in Sint-Truiden. In 2002 Kerkom was asked to brew an abbey-style beer for the first Open Abbey Day in Sint-Truiden. Adelardus Dubbel is named after the first abbot. A few years later, Kerkom came out with a tripel to celebrate the opening of the abbey tower. Both beers are made with the addition of gruut, a blend of medieval herbs originally used by monks as a preservative in brewing before the advent of hops. The busiest time for the café is in the spring, when tourists flock to the region for the apple and pear blossoms. In April and May the outdoor terrace, enclosed within the walls of the old four-sided farm, is an ideal place to sip a beer. Just in front of the entrance is a large signboard with a map of several walks in the area. Despite being forty kilometers away, another Limburg brewery also has close ties with the city of Sint-Truiden. 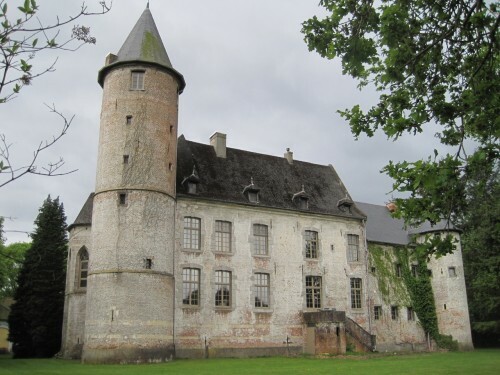 Ter Dolen, in Helchteren, was originally the summer home and refuge of the abbot of Sint-Truiden. 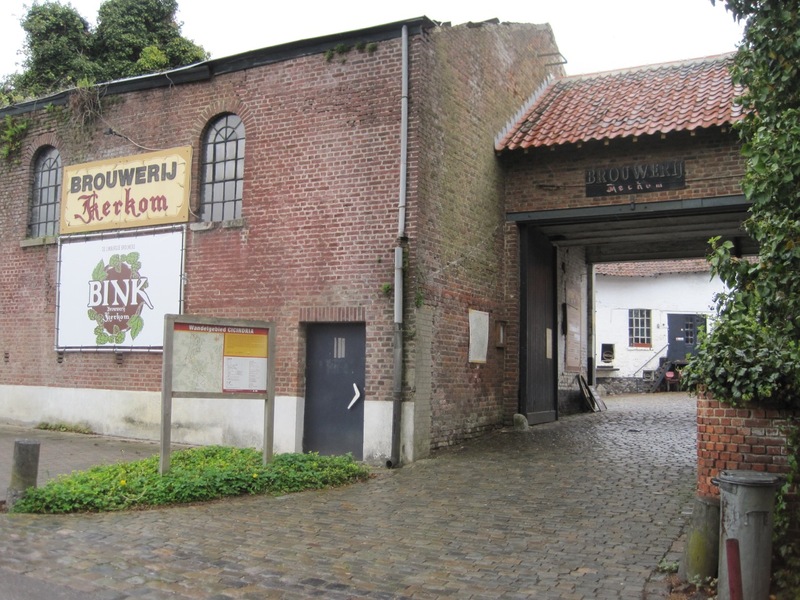 Unlike at Kerkom, there was no brewery at Ter Dolen before Mieke Desplenter bought the property in 1994. She comes from a long line of brewers and her family members run several other breweries scattered across Flanders, so brewing is definitely in her blood. Ter Dolen brews three abbey-style beers: a blonde, a bruin and a tripel. 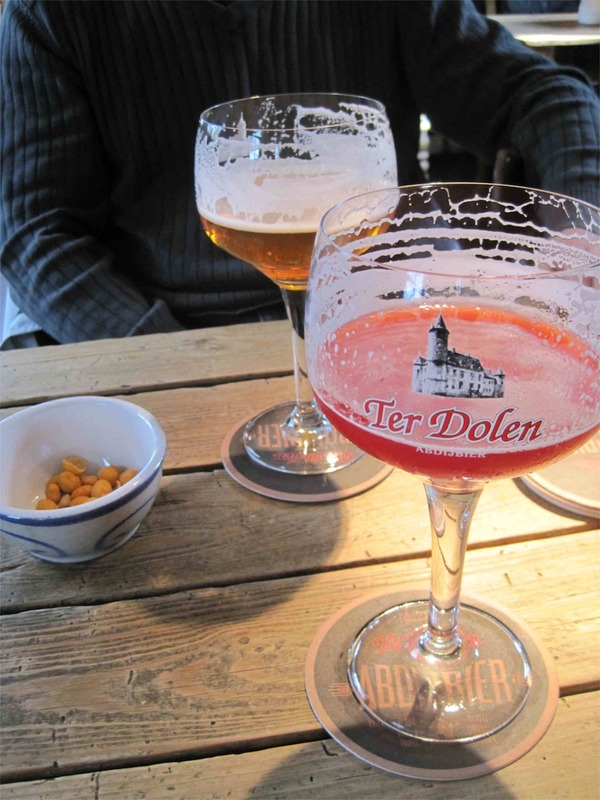 A special arrangement with the non-profit organization responsible for the former abbey buildings in Sint-Truiden allows Ter Dolen to use the official “abbey beer” seal. Ter Dolen’s newest beer appeared just over a year ago, in March 2011. “Armand” is named after Mieke Desplenter’s father, a brewer himself who provided the original recipe for Ter Dolen blonde. It’s a unfiltered, bitter beer made with Cascade hops from the United States, and currently the only place you can drink it is in the brewery’s own café. 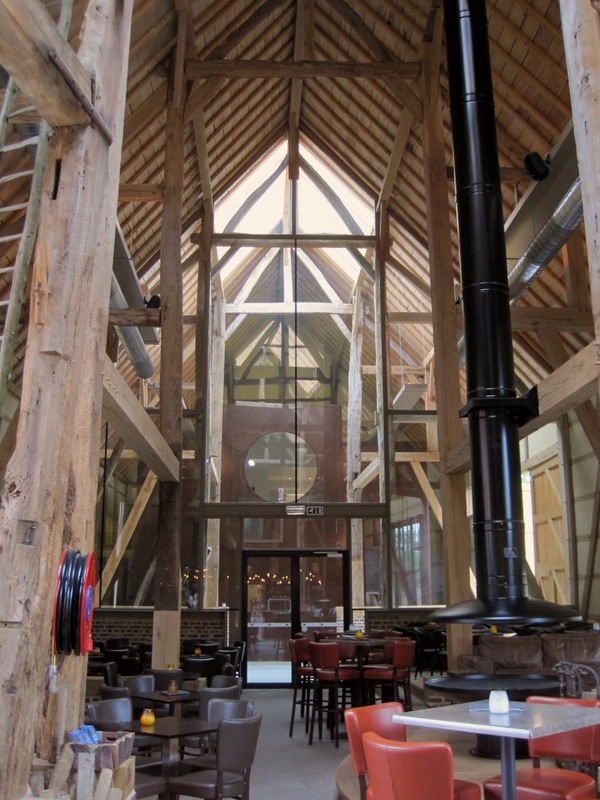 The café and brewery are housed in what were originally the farm buildings of the castle. On the weekends, you can take a tour of the brewery, followed by a drink in the café or on the outdoor terrace in the farm’s courtyard. The castle itself is not open to the public. The newest draw for beer lovers and visitors to Limburg is the brewery, distillery and café at Wilderen, just outside Sint-Truiden. Open less than a year, since July 2011, the café is already full to capacity on weekends and the brewery is becoming a top tourist attraction for the Haspengouw region. The brewery itself is state-of-the-art, a self-contained, fully automated system housed in a brand-new facility. 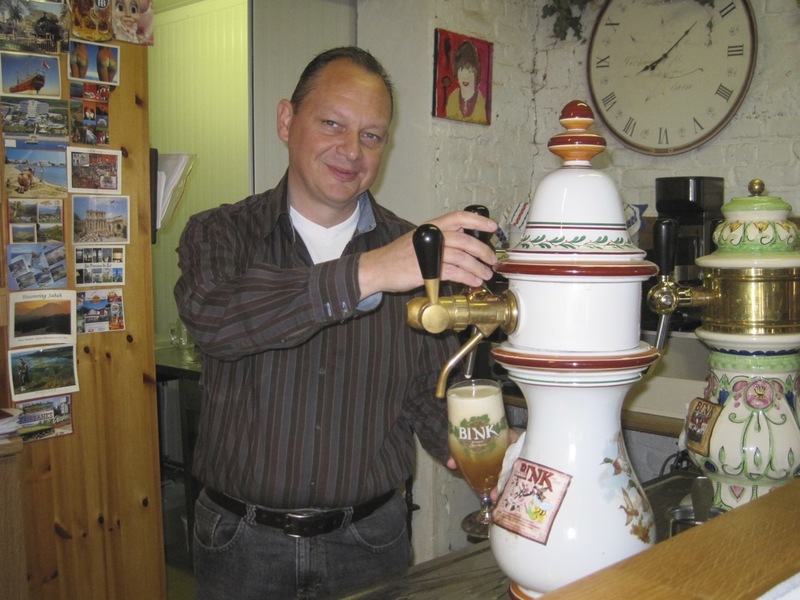 Brewer Roland Vanderlinden, formerly of Ter Dolen, has two beers in production there: Wilderen Goud, a blond beer, and Kannunik Tripel, made from four types of grain, two kinds of hops and a secret blend of three spices. Next door, the old distillery from 1890 is virtually unchanged since its closing in 1939. Miraculously overlooked by the Germans, it’s a monument of industrial archaeology, the original copper vessels and distillation tower still intact. It was this, more than anything, that convinced Janssen to buy the property, which included the distillery and a farm dating to the seventeenth century. Janssen left the original distillery as it was and installed a new one next door, where he produces both a graanjenever and an eau-de-vie, called “eau-de-bière,” made from the Kannunik Tripel. He also has a dozen barrels of whiskey in aged oak barrels from Kentucky laid down in the cellar, and will offer the first bottling in August of 2014. Besides the old distillery, the modern brewery and the new distillery, Wilderen has what must be the most impressive beer café in Limburg. Installed in a restored barn from 1743, it boasts huge wooden beams, authentic wattle-and-daub walls and a large open hearth in the center of the room. The interior strikes a perfect balance between old and new, with an atmosphere that’s both authentic and modern. Finally, the large, outdoor terrace, situated between the eighteenth-century barn and the nineteenth-century distillery, seats up to 500 and includes a playground for kids. On weekends, tours take visitors through the old distillery and the brewery. A visit to Wilderen combines history, architecture, brewing and local gastronomy, followed by a leisurely drink in beautiful surroundings. Ultimately, that’s what brewing in Limburg is all about: not just a love of beer, but an appreciation for local heritage and a strong sense of hospitality. For these brewers, beer isn’t just a beverage or a product. It’s something to be enjoyed with family, friends—and visitors—while sitting in a cozy café or on a sunny terrace.